The touchscreen in the new iPad Pro sometimes becomes less responsive under a glass screen protector. Some users of the newest iPad Pro models report that glass screen protectors limit the sensitivity of the touchscreen. These add-ones can also cause problems with Face ID. The maker of a popular line of glass screen protectors say it has received only a very limited number of complaints, but it’s nevertheless working to address this issue. These are just a small sampling of many complaints posted on various web sites. These issues do not seem to be limited to the screen protectors made by any one company. And there are no similar problems with protectors made of thin-film plastic. 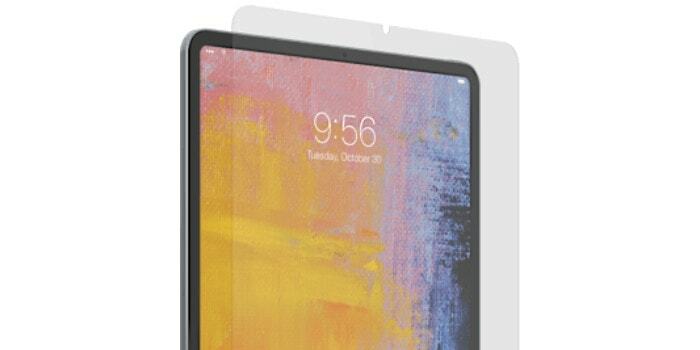 Glass screen protectors are hardly a new product, and there’s no definitive explanation about why these products might be having difficulties with just the 2018 iPad Pro. “We are taking a two-pronged approach. “First, we are happy to replace the existing product for those who perceive issues, or move them to a different product altogether. All it requires is a phone call to customer care. DuBois‘s advice for people experiencing this problem applies equally well to glass screen protectors from any company: return or exchange the product if it doesn’t perform correctly with your iPad Pro. This sensitivity problem doesn’t appear to be something that crops up later; it exists almost as soon as the protector is applied. This issue is fixable. “The handful of complaints about Face ID sensitivity have been resolved by rescanning the face after installing the screen protector,” said DuBois.